We are Hoboken’s top-rated beauty salon for professional haircuts, waxes, hair coloring, straightening, extensions and much more. 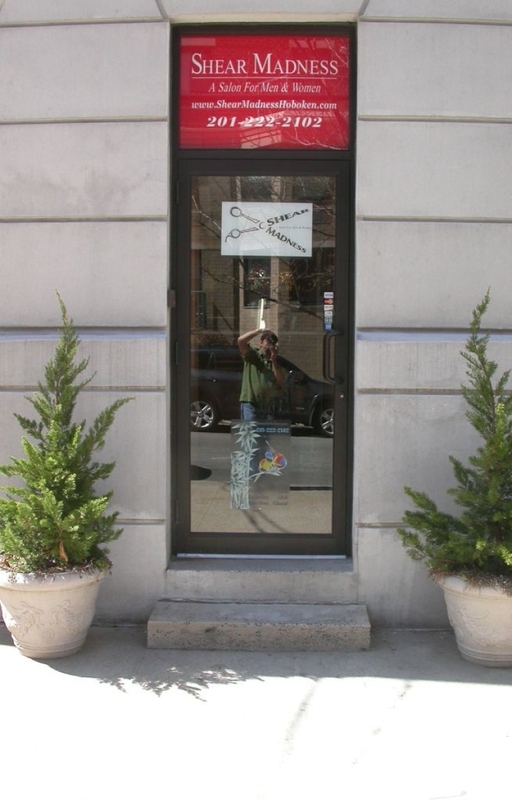 Tucked away just three blocks behind Hoboken City Hall, Shear Madness was born in 2003 with one simple mission – recreate the professional salon experience by providing top notch beauty services for men and women; without the pretense of other fine salons, in a warm and inviting atmosphere, atypical from the rest. Staffed with top notch artists/stylists from many backgrounds, using the finest quality products available, in a comfortable Asian inspired setting, the Shear Madness team can help find and interpret the vision of even the most discerning client. Once you are here, you’re not just a client but a member of the Shear Madness family. Trust me, relaxing in one of our chairs, it will feel like a second home! Whether you’re looking for a dramatic change – a new hair color perhaps – or just maintaining your current style, from avant guarde to traditional, you owe it to you yourself to call us today and FEEL THE MADNESS! 1. A pair of scissors. Often used in the plural. 2. Any of various implements or machines that cut with a scissor like action. verb tr. 3. To remove (hair) by cutting or clipping verb intr. 4. To use cutting tool such as shears. 2. Intense excitement, enthusiasm or passion. 1. Where passion and excitement combine with shears and various implements to achieve beautiful hair. 2. Where beauty and passion intersect. 3. Where skilled artists achieve great beauty through creativity using great products. 4. A place for really great head.